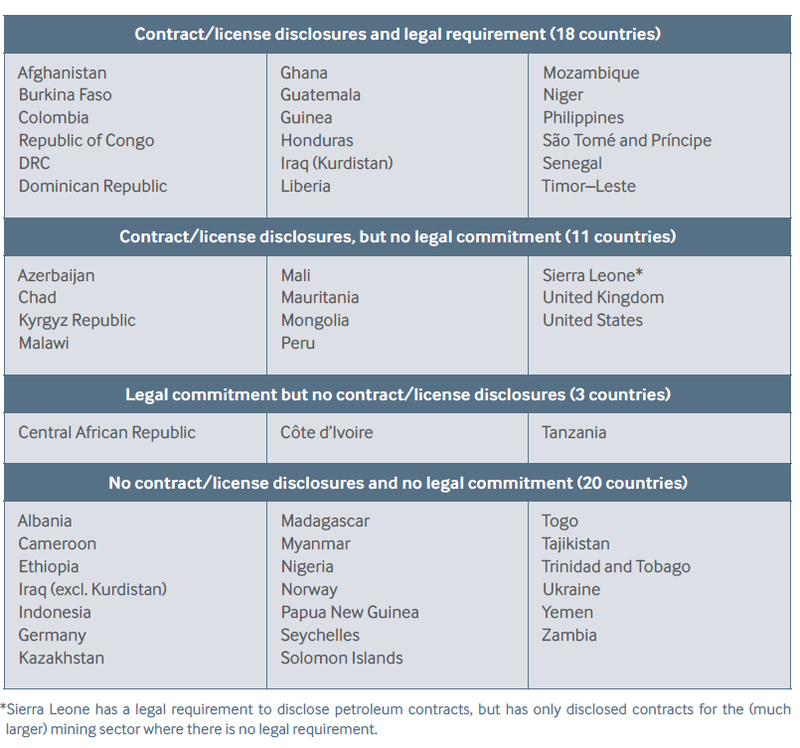 For a new report, Past the Tipping Point?, Don Hubert and I reviewed contract disclosure practice and policy in more than 50 countries and we were intrigued to find that 29 governments—well over half—were disclosing at least some of their extractives contract or licenses. An additional 10 governments that were outside the scope of our review are also disclosing, raising the global figure to an impressive 39 countries. These disclosures include contracts with dozens of oil and mining companies. Further details for each country including links and references to key documents can be found in this table. The number of countries that have passed laws requiring contract disclosure has also increased. We tallied 22 countries that have a law or policy that requires some form of contract disclosure for either the petroleum or mineral sectors. When we plot the dates that these policies were passed, the trend is striking. Since 2008 the number of countries with laws has more than tripled. That so many countries are disclosing contracts and making it a legal requirement to do so marks an important shift in the debate over contract disclosure. Industry actors pushing against contract disclosure are being overtaken by this new reality. The fact that so many governments and companies are choosing to disclose demonstrates that the benefits of disclosing contracts and licenses outweigh confidentiality concerns commonly cited. For those wanting to browse or search contracts, online repositories including resourcecontracts.org and Open Oil’s repository have enabled easy access to over 1,400 contracts, released through official government disclosures, but also by company disclosures through stock exchange filings and financing requirements. These documents cover over 85 countries. Past the Tipping Point? focuses on the role that the Extractive Industries Transparency Initiative (EITI)—a global standard to promote the open and accountable management of oil gas and mineral resources—has played in making this change happen. 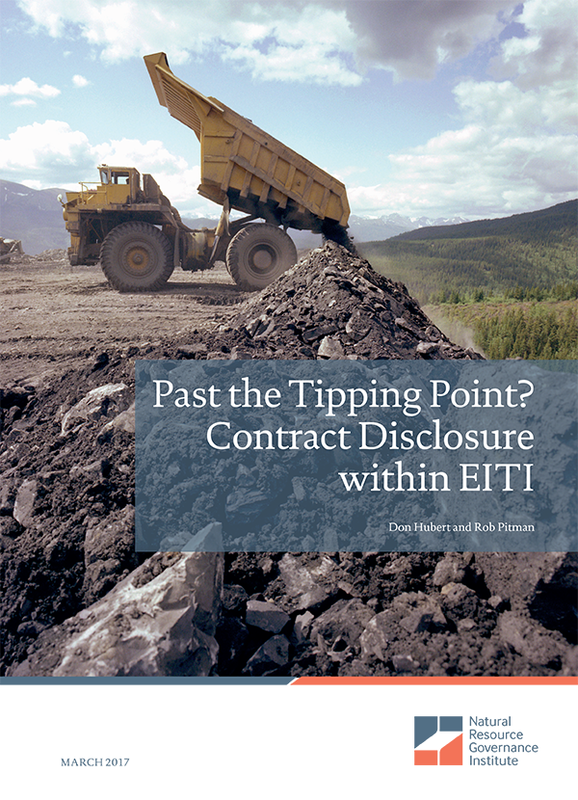 Since 2013, the EITI Standard has included a provision on contracts that encourages public disclosure of contracts (section 2.4). In the period since that change, nine new EITI countries have released contracts, and nine have enacted laws that require contract disclosure. Yet, there is still plenty of room for improvement. We note that among the countries we reviewed there are still 20 that have neither published contracts or licenses nor passed a contract disclosure law. A further 11 countries are failing to make the disclosures required under their national laws. Even in countries where contract disclosure is an established practice, it remains challenging for citizens to know which contracts or licenses are active because very few governments keep public lists of active projects and the agreements associated with them. In this changing landscape, we hope that our findings and recommendations help civil society, companies and governments find ways to improve the quality and accessibility of licenses and contracts that are already in the public domain. We also hope that these findings and recommendations motivate reformers in non-disclosing countries to push for the publication of the licenses and contracts that are currently secret. Beyond EITI, several other contributors have helped make this change possible. Important early work was carried out by Amnesty International, which highlighted the importance of transparency in combatting corruption risks related to the Chad-Cameroon and Baku-Tbilisi-Ceyhan pipelines. In 2009, the NRGI study Contracts Confidential analyzed and challenged the legal foundation for contract secrecy. 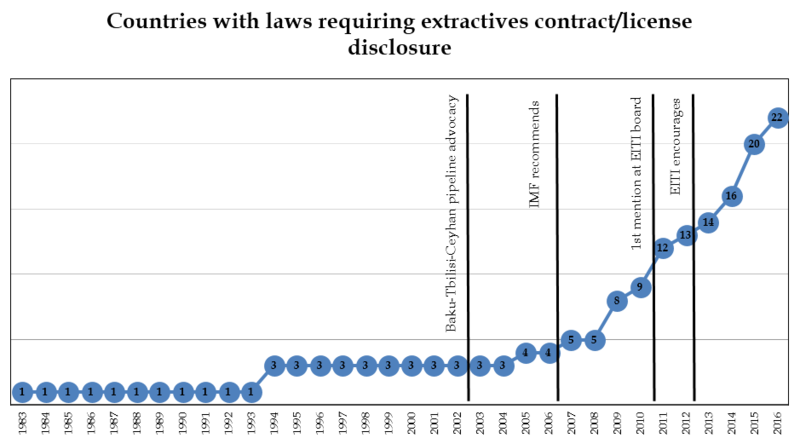 In 2012, a range of local civil society groups actively pressed EITI to speak about contract disclosure including Association Africaine de Défense des Droits de l'Homme in the Democratic Republic of Congo; Center for Economic and Political Research in Azerbaijan; Grupo Propuesta Ciudadana in Peru; Luta Hamutuk Institute in Timor-Leste; ROTAB PCQVP in Niger; and Wacam in Ghana. Today, a wide range of global organizations including the Colombia Center on Sustainable Investment, Global Witness, Open Contracting Partnership, Open Oil, Oxfam America and mining industry group the International Council on Minerals and Metals all contribute to ongoing discussions on the issue. International organizations also deserve some credit. Way back in 2007, the IMF called for the disclosure of extractives contracts in its Guide on Resource Revenue Transparency. In 2010, following four years of extensive multi-stakeholder consultations, the U.N. special representative for business and human rights, John Ruggie, included disclosure among core “Principles for Responsible Contracts.” And in 2011, the International Bar Association released a model mining development agreement that included a provision noting that contracts produced using the model should become public documents. International financial institutions have also taken note. In 2012, the International Finance Corporation (IFC)—the World Bank Group’s private sector lending arm – added a financing requirement that IFC-backed oil, gas and mining projects disclose the “principal contract with government that sets out the key terms and conditions under which a resource will be exploited.” The European Bank for Reconstruction and Development established similar requirements for hydrocarbon projects in 2013. Rob Pitman is a governance officer with the Natural Resource Governance Institute (NRGI).